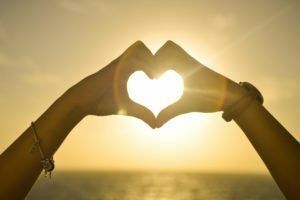 I recently got a reader request for a post about the joys and struggles of ENFPs and INTJs in relationships. I’m thrilled to research this pairing because they seem to have a natural attraction, but there aren’t many resources out there for them. When it comes to dating, marriage, and attraction, most of us are attracted to someone who is strong in areas that we are weak. “Opposites Attract” is a cliche for a reason; we are looking for a balancing effect in our relationships. We want someone who can be tough when we are weak, someone who can be warm when we are cold. These things provide a complete feeling in a relationship, and the differences also create a natural curiosity and sense of intrigue for each partner. Why Do ENFPs Fall for INTJs (and vice versa)? 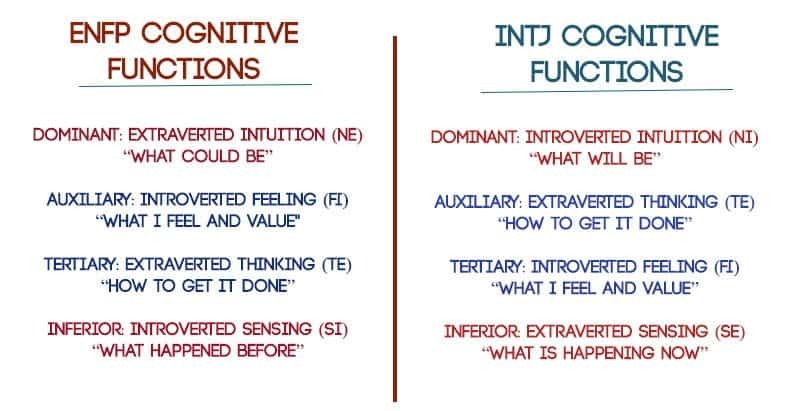 ENFPs and INTJs may only share one letter preference in common (N for intuition) however, they share two common cognitive functions; Introverted Feeling and Extraverted Thinking (see below). This means that both ENFPs and INTJs not only perceive the world through intuition, they also have a common feeling and thinking function, although in a separate order. Where the ENFP will have a higher knowledge and awareness of his/her own emotions and values, the INTJ will have a higher awareness of the logical approach and efficient task completion. If you look at the cognitive function image, you can see that INTJs use Fi in the tertiary position, only one step down from the ENFPs position. The same goes for Extraverted Thinking, the ENFP has Te in the tertiary position, only one step down from the INTJs Te. INTJs and ENFPs are going to hit it off and experience a natural spark because they will both live and thrive in the world of ideas, possibilities and meanings. They will feel a nearly “inside out” approach to intuition. The INTJ will have a singular focus, intense and deep, although they may think about more possibilities than they say. The ENFP will have a broad focus, seeing numerous possibilities everywhere. The INTJ may feel that the ENFP is speaking out loud intuitive thoughts and feelings that they have internalized. The ENFP may feel that the INTJ is grasping a deeper and more focused approach and insight to their ideas and possibilities, causing them to have a clearer focus and perception themselves. Life is full of possibility and excitement for the ENFP, and they have an infectious enthusiasm that draws the INTJ in. The ENFP can open up the INTJs mind to numerous possibilities and angles they may have missed before, and the INTJ can harness the ENFPs ideas and insights and give them a clearer focus along with a plan to make them come to life. The ENFP can be a constant idea-generator whereas the INTJ can be the one who harnesses the best of those ideas, creates the plan, and together they bring the idea to life. Both partners are going to be focused on the big picture, the future, and they are going to be excited by underlying meanings, symbols, and possibilities. This difference can create a spark of interest as each one is strong in the area the other is weak. This can also be a source of frustration (as we’ll discuss later). INTJs are drawn to the ENFPs warm, outgoing nature, and enthusiasm. ENFPs are naturally playful, open-minded, and blessed with a good sense of humor. INTJs find in the ENFP a warm, comforting, and delightful friend and partner. The ENFP partner can help the INTJ to get a better grasp of their own feelings, values, and emotions. ENFPs, in turn, are drawn to the INTJs resolve, intellectual passion, and driven nature. INTJs have an intense focus and a natural efficiency and goal-oriented nature that is captivating to the ENFP. The INTJ can help the ENFP to be more objective in their decisions and give logic-driven perspectives that may help the ENFP to further achieve their dreams. ENFPs are attracted to the INTJs resolve and commitment. INTJs are very single-minded in their vision, and are determined to meet their goals. They have a strong ability to hold their ground and stick to their schedule and plan without being swayed. This is admirable to the ENFP, who often feels tossed and turned by their many ideas and visions for the future and has a harder time settling on just one. The INTJ can help the ENFP stick to a time management plan and can make their dreams more of a possibility with their efficiency at setting up plans and timelines. In the same respect, INTJs are attracted to the open-minded and inspirational nature of the ENFP. The ENFP can introduce new angles and perspectives that the INTJ in their intense, single-minded vision may have missed. 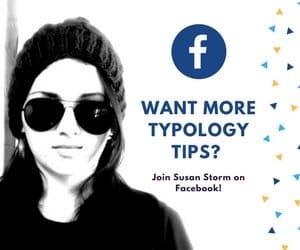 In their singular focus and their penchant for efficiency, INTJs can miss details or alternatives that can greatly improve the creativity and excellence of their work. ENFPs can help broaden their scope and together they can achieve almost anything they set their minds to. ENFPs are considered one of the least extroverted extroverts, and for this reason there’s not as big of a contrast with this pairing as there would be with an INTJ and certain other extroverts. You can see this in the MBTI® Manual in a section about the different types and their values. A national sample was asked to indicate how important 11 values were in their lives on a scale of “Very important”, “Somewhat Important”, or “Not Important”. ENFPs listed Autonomy as their fourth most important value. ESTPs and ENTPs are the only other extroverts who listed autonomy as one of their top 5 most important values. ENFPs shared autonomy as a value with INTJs, along with home/family, health, and financial security. The INTJ can really enjoy the ENFPs extroversion. That whole opposite attraction has a strong pull here! INTJs are fascinated by the ENFPs ability to liven up the atmosphere, and are impressed by their skill at connecting with people in an insightful way. ENFPs in turn are attracted to the quiet, intellectual nature of the INTJ. In the INTJ they find someone calm and sage-like to come home to. They can enjoy curling up with a good book together, or discussing all their ideas and dreams over a cup of coffee. There is something perceptive and intense about the INTJs quiet, focused nature. ENFPs are also very intellectual, so these two types can really get into some fascinating, drawn-out conversations about the meaning of life, philosophy, or any other number of topics. One of the biggest struggles with the ENFP/INTJ relationship is their different social needs. Yes, ENFPs are less extroverted than many, but they still greatly desire interaction with the outside world. They are stimulated by meeting new people and experiencing new atmospheres. These interactions trigger their dominant Extraverted Intuition and allow them to be inspired. They will feel stifled if they are cooped up too much in the house and not allowed to meet new and interesting people or experience and explore places they’ve never been before. INTJs have dominant Introverted Intuition. They need a lot of time alone; in fact, INTJs are one of the most introverted introverts. In order for them to really be in their element as Ni-dominant individuals they need plenty of space, quiet, and tranquility. They will feel caged in and over-stimulated if they have to spend too much time engaging with others. They especially hate interruptions to their projects, whereas ENFPs are often excited by interruptions and distractions and see them as an opportunity to explore something new. INTJs can enjoy visiting new places and seeing new sights, they can even enjoy the occasional social outing, but they need to be allowed much more time to recharge than many other types. Communication struggles can also be an issue in this pairing. ENFPs are very concerned with harmony, and will try to avoid conflict as much as possible. They tend to take criticism personally and may want more positive affirmation than the INTJ naturally provides. INTJs tend to be blunt and straightforward with their criticisms, and they can unintentionally hurt their partners’ feelings. ENFPs, as extroverts, tend to process their thoughts out loud most of the time. Because their dominant function is Extraverted Intuition, they may want to ‘talk out’ their ideas, their insights, all the possibilities around them. They may also want to be checking in regularly on their partner to make sure everything is good in their relationship. The INTJ, in reverse, internalizes many of their thoughts and ideas, and tries to stick to one idea and get rid of any distractions to that idea. The ENFP can seem intrusive to the INTJ and the INTJ can seem cold and harsh to the ENFP when their communication preferences collide. INTJs also don’t share their feelings as readily as ENFPs do. The ENFP is much more aware of their feelings because introverted feeling is their second most conscious function. INTJs in contrast are less aware because introverted feeling is in their tertiary position. It can take them a while to really understand or pinpoint how they feel and so they can feel irritated if the ENFP is regularly asking them about their feelings or asking them to exhibit emotions that don’t come as naturally to them. This can cause the INTJ to feel pressured to regularly be accessing a function that isn’t in their natural comfort zone, and this can also cause the ENFP to feel that they can’t connect emotionally as much as they would like. One upside to the feeling/thinking difference is that in mid-life most people develop their tertiary function quite a bit. This means that the INTJ will be developing Introverted Feeling in their thirties and forties, and the ENFP will be developing Extraverted Thinking in their thirties and forties. As a result, if these couples can stick it out they often find themselves forming new bonds in mid-life and being able to express themselves better to each other. 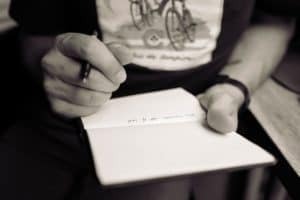 As perceivers, ENFPs like to keep their plans open-ended for as long as possible. They like to have the freedom to cancel, switch plans, or spontaneously do things as inspiration strikes. They love surprises and tend to be impulsive. One of the great things about this quality is that it allows them to find new inspirations for their life and their projects that they might have missed otherwise. However, this can cause clashes with the INTJ. The INTJ is far different in their planning style than the ENFP. They like things to be planned out ahead of time, and they like to have closure on all their decisions. Leaving things open-ended stresses them out, and they usually hate surprises. They enjoy having a structure in their life, knowing what to expect, and having everything organized and neatly planned. As a result, these partners can wind up driving each other out of their respective comfort zones, creating chaos and conflict. This difference can, at times, be a good thing. The ENFP can help the INTJ to see new perspectives and introduce them to new experiences they may actually enjoy. The INTJ can help focus the ENFPs ideas and find a sense of calm and direction in their life. Give your partner plenty of time to think and be alone with their musings. Steer clear of interrupting them, as interruptions are a huge source of frustration for INTJs. Respect the INTJs need for routine and planning and try not to cancel too many plans at the last minute. Try to take an interest in the things that your partner is interested in. Chances are, this can be the source of many amazing conversations and a greater friendship. Understand that when your partner gives criticism they aren’t trying to hurt you. They naturally see flaws and things that could be improved, but they mean no ill-intent by offering advice or saying what they think should be changed. If this does bother you regularly, just tell them. Make sure they know and try not to hold in bitterness regarding this. Try not to push your partner into too many social situations. Small gatherings with just a few close friends are almost always preferred by INTJs. If you feel the need to socialize more but your partner isn’t interested, feel free to go out and socialize without them. This way you get your energy needs met without pulling the INTJ out of his/her source of energy (introversion). Try to follow through on things you say you’ll do and try to be on time to any dates or appointments you’ve made. Don’t expect the INTJ to be spontaneous often. Try to schedule in time for special things you want to do together so they aren’t caught off guard. Try to open your mind to the perspective the INTJ is offering. They have a great ability to stay objective and see logical, efficient ways to get things done. If there’s a decision you’re struggling with, the INTJ can be a wonderful confidante and advisor who will give you an objective and insightful answer. Ni-dominant types are great at knowing what steps to take to achieve a future outcome. Definitely take advantage of this unique ability of theirs! Try to respect your partners feelings and emotions, and try to be as open about your own as possible. Try to make time for social engagements now and then. It’s more comfortable to retreat into your own private space, but it can make the ENFP feel lonely. You don’t have to overdo it, but going to an occasional social event can help to make your ENFP feel loved and happy to be able to share that experience with you. Be especially attentive when your partner is sharing their emotions. Try to give positive affirmation to your partner regularly, especially when they do something nice for you. Emphasize positive aspects of your partner before giving criticism, and remember that they tend to take criticism personally so try to give it gently. Be up front and open about things that bother you so that you don’t let things simmer inside for too long and then explode. Try to express your needs, especially when it comes to planning things or getting some time alone. Try to open your mind to the perspectives the ENFP is offering. Ni-dominant types tend to have an intense focus on one way to get things done, or one project and they can be irritated by deviations from that plan (I know, I’m an INFJ), but try to take a moment to really listen to what the ENFP is saying. ENFPs are incredible at seeing creative and imaginative alternatives and possibilities. They may have an insight or idea that could really improve your life! Female INTJs and male ENFPs enjoy a very unique bond, but there are some special qualities to this particular relationship. Female INTJs often face many societal pressures to conform to a more ‘feeling’ role. Men, likewise, are often pressured to conform to a more ‘thinking’ style. These two types often face difficulties growing up, possibly being made to feel that they are somewhat inadequate. The woman may be told she’s not ‘ladylike’ or nurturing enough, and the male may get told he needs to ‘man up’ more because he happens to show emotions. In relationships it’s important to be aware of the difficulties that each type may have faced because of outside pressures. ENFP men may have had to stifle a lot of their emotions and sensitivities because of external pressures, and INTJ women have probably had to develop a more feeling type role. As a result, many ENFP males seem less ENFP-like than ENFP females. In the same respect, many INTJ females seem less extreme in their INTJ nature externally than INTJ men. INTJ women face many of the same struggles. It’s important to be aware of the issues these two types face so that both partners are aware of the obstacles they may have had to overcome. It’s important for both types to allow their partner to be exactly who they are, and not feel stifled or that they have to bury parts of themselves anymore. A happy relationship is built on trust, and part of that trust is being able to know without a doubt that you can embrace your personality wholeheartedly without fear of judgment. This means that it’s especially important to not make fun of things you see your partner doing that don’t fit your mental image of what is ‘ladlylike’ or ‘manly’. ENFP men can be the ones to not push the INTJ female into a cookie-cutter, sensing feeling role. INTJ women can be the one who understands that the ENFP male has a strong emotional intelligence and appreciate that about them fully. I’m an ENFP and I’ve been casually dating this INTJ for the past year. He’s my fwb every time I’m single because he’s so busy (he owns a business). He’s just not in the position to have any kind of relationship because he plans on traveling the world and selling his house here, that’s why I’ve never taken him seriously. Also I have two children from two different fathers (it’s a long story but something I decided logically), and I feel that it might be embarrassing to him since he doesn’t want any children and doesn’t feel comfortable around them (He’s never met my children, but I did bring my son and Mom to one of his events to support him since he asked if I could). Well, just the other day I took the Briggs test and was so excited to have such an accurate description of my personality. I’ve been asking every guy that’s interested in dating me to take it (I am curious more than anything, since I’m trying to disprove Greek Zodiac dating theory, since I’ve never been attracted to my zodiac matches and it’s frustrating when it comes to choosing someone to date). He took it and viola! He’s my perfect match, an INTJ! I honestly wasn’t expecting that. I really like that he’s reserved and sensitive and he’s so smart (I’m starting my own business and he’s helping me with advice on how to start it), but like I said earlier he’s just a fwb! What do I do? It’s funny because I never get bored with him, he’s always stimulating my thoughts and we have really good chemistry, and we’ve never really had any disagreements and I would never do anything to hurt him (I’m normally drama to every other guy I date, but with him I don’t need to be, because he’s true to his word). It’s my dream to be in a loving relationship, I am a true ENFP after all, and I long to find that perfect match (I’ve been single 2 years! Which is an eternity for me). I don’t want to come in the way of his Dreams obviously I believe it would be good for him to get out of his head and stop working for a change. I know INTJs are super rare to find, should I do something to stay in touch? Will he think of me when he’s gone and decide he wants to be with me? I feel like since we’re just fwb, he won’t think twice about me and I would eventually forget him too. Should I do something to leave my mark? If he’s perfect for me shouldn’t I do something? My heart isn’t attached to him, but should it be? Your children are more important. As soon as I’ve read that he is not cool with kids, I thought – good-bye. There are plenty of other guys. Don’t date because of “perfect match”, there are so many variables and my husband is ESTJ and we get along perfectly. It’s easier to see from distance than when you are so close to the situation. Rose, I’m an INTJ male and absolutely love children, I have all my life. I even used to get chosen over my two sister to babysit the neighborhood kids because i actually played with them. My sisters absolutely hated I was making all the money and saving it! I guess I was honing my INTJ skills back then. So the moment I read he didn’t want children a BIG red flag came up. I raised 4 children with my ENFP wife (2 mine from previous marriage and 2 hers from previous) and have 3 grandchildren. Don’t waste your time with someone who doesn’t want or feel comfortable around children. Oh and after 26 years with my ENFP wife this article NAILS IT. I am an ENFP and my boyfriend’s an INTJ. We were acquaintances through a close common friend initially. We met exactly twice during the first three years of our acquaintance-ship. And then he went to another continent to pursue higher education. Our almost non-existent bond changed to friendship over time. We went on to became best friends and eventually lovers. All of this over a period of another 3 years, never having met once since we wre geographically apart. Already been a year since we became a couple but met him for the third time per se, but only for the first time for “real” about 6months back. We got engaged then. Of course, he went back a month later because he’s not done studying yet. I’ll only see him qgain after a year. So yes, we kicked off our friendship and our relationship in long distance. Luckily, he’s the most well-suited person for me. I couldn’t have asked for more. We connect at an other-wordly level. And we never run out of topics to talk about. Our core values are a perfect match. And yes he loves kids. He wants them more than I do. His loyalty and devotion is unparalleled. We are each other’s priority and will always be. We were, we are, and we’ll always be best friends before anything else. We love each other’s company and never get bored of each other. I have a huge circle of close friends, as expected of an enfp, but we never have an argument over that because I am quite an introverted enfp myself. He’s more than happy being left alone to be by himself every once in a while. Not just that, we also are thoroughly comfortable being in the same room and doing our own thing. I value his insights when it comes to making certain objective decisions, and he mine when it comes to creative ones. Works perfectly for us. We constantly communicate through texts, calls, memes and videocalls. Trust me, long distance relationships are not rocket science. Don’t let your intj go if you are sure he/she’s the one. Because they are indeed rare. But enfps, too, aren’t too commonly found. As much as we hate rejections, we are suckers for an honest conversation. Have it. Get your answers. Don’t writhe in the what-could-bes when it comes to your people. Especially the right ones! This is an incredible article. I am an INTJ and by boyfriend is an ENFP. This article describes us exactly and makes me feel much more comfortable moving forward with him. I now know why we clash when it comes to certain subjects but gives me hope that we can find common ground. My wife in INTJ and I am ENFP. I recently learnt about attachment theory and personify types among other things. Seems logical that an INTJ has an avoidant attachment and I the ENFP has an anxious attachment style. We have been together 25 years and it has been a roller coaster to say the least. The love can be intense and the heartbreak as intense. I read with exhilaration the “anxious / avoidant dance” as we have done so for years now. It was actually relieving to read that our life was almost a playbook and we played the starring roles perfectly. I push and she pulls, so I push more and she pulls further. Anyway knowing that we both have issues is one thing. Getting my INTJ wife motivated to address the issues we have, so far impossible. We past breaking point too long ago. By me the ever optimist ENFP looking for any glimmer of positivity in the harsh critical marriage keeps rolling over to keep the peace. So many boxes ticked in the above article, add in there abandonment issues and being hyper sensitive and wow even more boxes ticked. The positive side, that’s hard right now, we have just separated. I wish they taught this stuff in schools. Emotions and feelings are so important. I feel for you. We’ve been married for 13 mostly difficult years but have had some really amazing times & connections. He’s 9 years older than me & we married when I was 27 & already had a 7 year old son so there was a little bit of stress involved or too many changes for me in too short of a time while I was trying to solve world peace in my head. Add in severe financial issues shortly after we married and we both were just trying to survive. Fast forward to now & it’s settled down but we both still have times of doubt & we have to be careful not to hurt one another. Often I think he worries that he won’t be “enough” for me. And in the last year I finally decided just to be honest about what I had figured out about myself….. that is, he most likely won’t be “enough”, but he is always enough when i am with him. Sometimes I can’t have him all the time, it would drive me nuts even though I miss him or I feel horrible that I’d rather be alone. And I realize if I don’t find the mental stimulation somewhere else that I’ll take out my frustration on him for making me only give my attention to him. And then I feel like I’m defying the natural order of society by being honest (my family is mostly conservative & I’m a free thinker. ) I practiced with something like “I NEED that mental stimulation, & it needs to be about what I’m interested in, which isn’t always what you are, & that’s ok, isn’t it? And yes I get along better with guys, always have, less drama & yes, I get excited when I am mentally stimulated & guys take that connection too far at times, & no I have no idea how to deal with your jealousy though I mostly understand it.” And that’s pretty much where we are now. Communicating better for the first time since we both just held on and tried to get through it. We’re both making an effort though I’m very concerned that the truth is that I’m not enough for him. He may truly need more attention from me while I can just find more mental stimulation from other sources when he’s not able to provide it & then he will get jealous of that. I feel like we may be at a standstill in our relationship growth if we can’t find a solution. And we both crave moving forward, or at least thinking/ feeling we are & will get tired of running in circles. I have pretty good stamina though if I have even a sliver of insight that might shed ideas into my head & thus give me hope for the future. Then I’m able to give my ENFP hubby hope for today. So if you’re out there and anything you read sounds the least bit familiar, can you offer any insight? Anyone? I’m an ENFP dating an ENTP, in a LDR… We used to talk about all the things. ALL. THE. THINGS. And he recently found an online group of people that better meets his mental stimulation needs than I do… And I’m insanely jealous. He talks to a lot of women. I’m insanely rage jealous. One of them has the audacity to be amazing and intellectual and they were attracted to each other… And he fessed up about it after they’d been talking for 5 months… I’m having a wicked hard time getting over that. All that to say… If he would just take a break and be with just me for a bit. Let me come to terms with things without the abrasion being ever present. I’d really appreciate that. As it is, the distance is so painful, and the emotional pain is so much… I’m sure that sounds dramatic, but it really does hurt. Also… The ENFP probably does not want to spend time with other people, right now, because they want you… But it would help if they did get out… Except that it’ll feel like they’re being pawned off on other people and they want you… That’s how I feel. I hope you guys can come together. Wayne, I would also like to ask if you’re wife was mostly just “disinterested” in some type of therapy or working through issues OR was it something she would just never do? Personally I wouldn’t do it if I wasn’t intellectually interested in it which is usually because I don’t currently see that it would be effective. It doesn’t mean it wouldn’t be in the future & I always recognize this can change. I get around this with those I love by really getting involved with thinking about what the goal is and what information I’ll need to get there. If it’s not interesting & seems dull then I often won’t want to do it, though I will if pushed enough….. the only exception would be if it’s dull AND emotionally difficult AND seen as ineffective. Nope, count me out. I’ve literally had to come up with games I play with myself about our relationship so I can measure it & guage if it’s getting better overall, and experiments, etc. It’s not that I’m cold, or I wouldn’t try so hard to maintain mental stimulation about something that does bore me sometimes…. If you want to answer if she was just disinterested or truly just too hurt at this point in time I’m all ears. I’m very intrigued & also feel like we could help each other. Best article on the internet. I’m an INFJ and my husband is ENFP. Every word in this article is so true.. exactly explains our relationship. I absolutely loved this article, it was so spot on. I am an INTJ and my husband is an ENFP, and we actually got married the date of this article lol! There was an instant attraction and spark ever since we became friends and through the years of knowing him I have loved that we make each other better and that our differences only strengthen our relationship. We just had our first daughter and I am excited to see how our different personalities come into play as parents. We have definitely had our ups and downs, but I have never had a more fulfilling relationship. It is definitely worth it working through our problems. Enfp male, intj wife. Wonderfully analytical article. This should be required reading for all such couples. As I have started to learn more about Meyers- Briggs, I strongly disagree with the theory of ENFPs matching best with INTJs. I am an ENFP who dated an INTJ for two and a half year, ending in a broken engagement because of our differences. While we loved discussing intellectual topics in the earlier stages of our relationship, as time passed, we often would be communicating on two entirely different planes. He could not understand my more colored and emotional prospective, while his straightforward way of looking at things was helpful at times, but also frustrated and constrained my thought process. Also, as is common with INTJs, they are very critical and straight forward with this criticism. They criticize in the hopes of bettering their partner. However, ENFPs are people pleasers, want to make their partner happy, and take criticism to heart. I often felt I would hear many negative comments or critiques but this was never countered with positive affirmation and with time became discouraging. ENFPs are also extremely affectionate and playful. INTJs can not meet this in kind, which puts the ENFP in the position of being the nurturer for the majority of the relationship. The ENFP will not receive the type of affection and care they crave, while the INTJ will not receive the logic and intellectual discussions they desire. Ultimately, leaving both partners unsatisfied. Plus, add on that both partners are lawyers and you have a whole big mess!